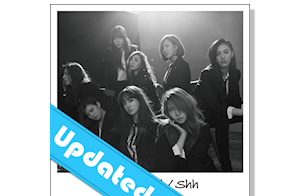 91.8 The Fan » Blog Archive » The Wandering Witch – Seeking a Boring Girlfriend? 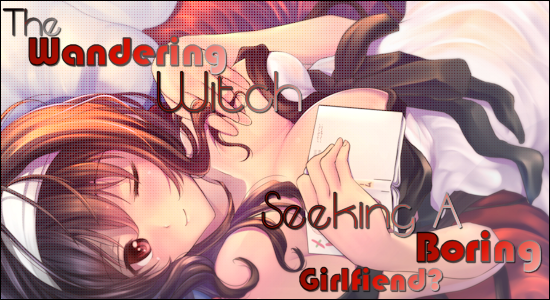 The Wandering Witch – Seeking a Boring Girlfriend? Welcome, all, again. In this installment, we will discuss Saekano: How to Raise a Boring Girlfriend, a cautionary tale of professional and romantic ambition. Or something like that. Honestly, who’d want a boring girlfriend? I don’t understand what was wrong with the literal translation of the title: How to Train the Ordinary Girl to be a Heroine. 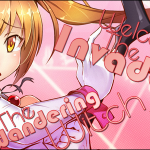 Title aside, though, this is a growing franchise which began as a series of light novels (ongoing) by Fumiaki Maruto and progressed to inspire two ongoing manga spin-offs which are carried in Monthly Dragon Age and Big Gangan. The anime version is produced by studio A-1 Pictures for Fuji TV and is being simulcast on Crunchyroll on Thursdays at 12:30pm CST. 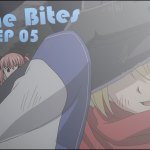 The plot is the stuff of adolescent boys’ dreams: an unassuming underdog of a guy, Tomoya Aki, gathers together some of the prettiest girls in the school into his own harem, conveniently disguised as a creative circle working on a dating sim game. 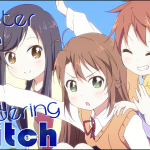 Oddly enough, it seems to be the girls who consider their group to be a secret if discomfited harem, while Tomoya seriously seeks to create his ideal dating sim. 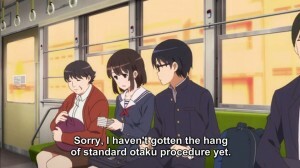 This disconnect is the primary source of the show’s humor; however, it does not irritate the viewer in the same way as do so many other “clueless lead” situations in the harem genre. Truth is, Tomoya is actually very aware of the young ladies with whom he is surrounded–he just tends to be aware of them on an artistic or even emotional level much more so than on a romantic one. These young ladies, however, are keenly aware of Tomoya on all levels, as well as being acutely sensitive to each other and their perceived rank within the harem. Megumi Kato is the boring girlfriend of the anime’s title, the model for the heroine of the dating sim upon which everyone is working. Utaha Kasumigaoka, who is writing the script/story for the dating sim, is actually a successful light novel author who uses the pen name Utako Kasumi in order to protect her identity as a high school student. Eriri Spencer Sawamura is Tomoya’s childhood friend and the project’s designated artist. And as might be imagined, she feels slighted that Tomoya is not automatically paying her more attention than he does the others. Of course, Michiru Hyodo might be disinclined to agree with Eriri’s ideas, given that she is Tomoya’s cousin and a member of Icy Tail, the band he manages. Michiru is composing the game’s musical score. Last to the party is Izumi Hashima, a junior high student and up-and-coming illustrator who became interested in otaku culture because of Tomoya’s influence. But what precipitated this impending bloodbath? The road to this predicament started, appropriately enough, on a road. 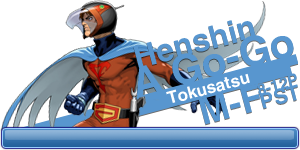 Tomoya is riding his bicycle down the street when the wind blows a white beret into his path. He retrieves it and returns it to a startlingly beautiful young lady whom he does not recognize. This inspires Tomoya, a die-hard otaku, towards the creation of a dating sim game based upon the encounter, which he considers fated. 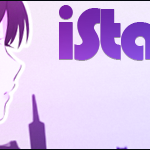 He begins to think it considerably less fated, however, a week later when his classmate–a rather unremarkable girl named Megumi Kato–thanks him for returning her hat. Tomoya is at first confused, then dumbstruck, then disappointed. But he rallies, and begins trying to change Megumi into the heroine of his dreams, capable of carrying his envisioned game upon her slender shoulders. 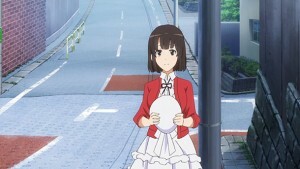 He also increases his efforts to recruit Eriri and Utaha, both of whom he has already approached with his idea and both of whom have so far rebuffed him. But Tomoya finally develops a project proposal that, while not exciting the two, at least satisfies them that he is indeed serious. Then the real work begins. 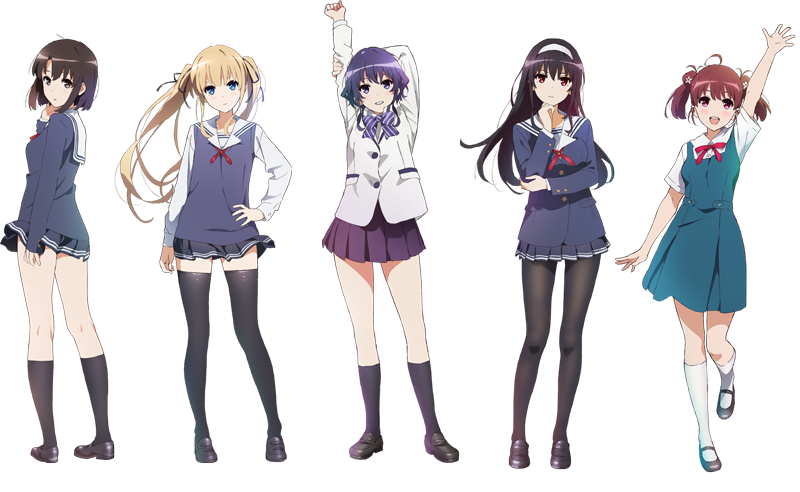 Saekano: How to Raise a Boring Girlfriend is, in my opinion, this season’s sleeper hit. It is actually unusual for me to enjoy a harem-oriented program this much, especially one that retains any hint of the “clueless lead” formula. Nonetheless, this show is funny, interesting, and compelling! As with the best comedies, the humor herein runs simultaneously on several different levels, encompassing everything from physical slapstick to a rather venomous understatement. (Ever heard the expression “Like trying to herd cats?” Well, saddle up!) And while this is no SHIROBAKO, we still see such industry mechanics as how an artist’s success can lead to their recruitment into multiple projects or how the need for funding can affect project development. I confess that I am learning more these last two seasons about the manufacture of anime, manga, and games than I ever knew I didn’t know. And I’m being entertained by it! 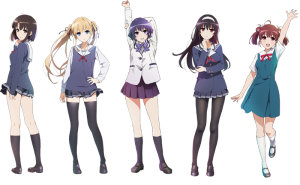 But don’t let me scare anybody by overthinking this–Saekano: How to Raise a Boring Girlfriend is just plain fun, so go watch! Thanks for the compliment! Honestly, though, it helps a lot that there are so many great shows out there.